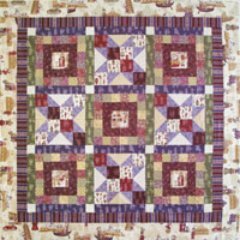 Free cat quilt patterns are a popular choice for quilters. 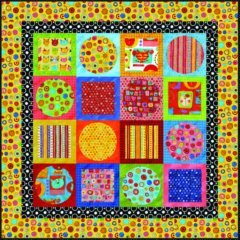 Most of the patterns below use cat printed fabrics in their quilts. When you are next browsing in your quilt shop check out their cat fabric as there appears to always be a good range of fabrics with cats on them. 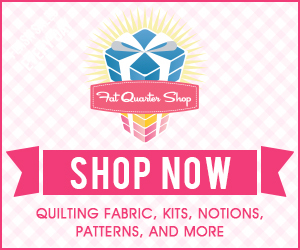 Have fun choosing your fabric and pattern when making your next cat quilt! Pattern courtesy of Henry Glass. 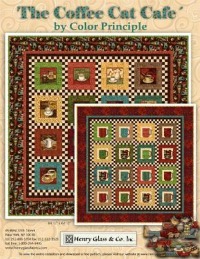 The Coffee Cat Cafe Quilt Pattern. Pattern courtesy of Wilmington Prints. 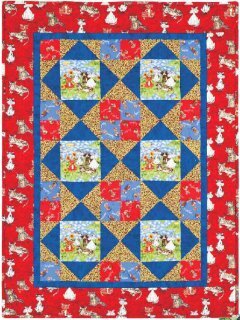 Litter of Kittens Quilt Pattern. Pattern courtesy of Wilmington Prints. The Cats Meow Quilt Pattern. Pattern Courtesy of Benartex. Cats Amore Quilt Pattern. Pattern Courtesy of Clothworks. 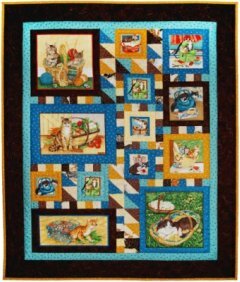 Cool Cats Quilt Pattern. Pattern Courtesy of Makower. Cats Quilt Pattern. Pattern Courtesy of Robert Kaufman. Catberry Quilt Pattern. Pattern Courtesy of Robert Kaufman. Catberry Tails Quilt Pattern. Pattern Courtesy of Robert Kaufman. 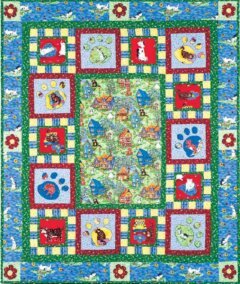 Baby Bright Cat Quilt Pattern. 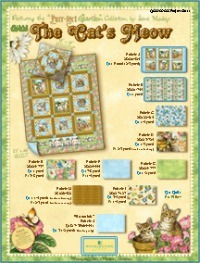 I hope the above free cat quilt patterns have inspired you to make your own cat quilt using your favorite cat fabric. 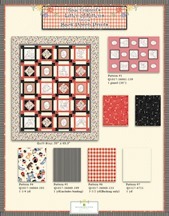 For a selection of quilting blocks that you can use your cat fabric in go to Free Block Patterns. You will even find some simple cat blocks as well. 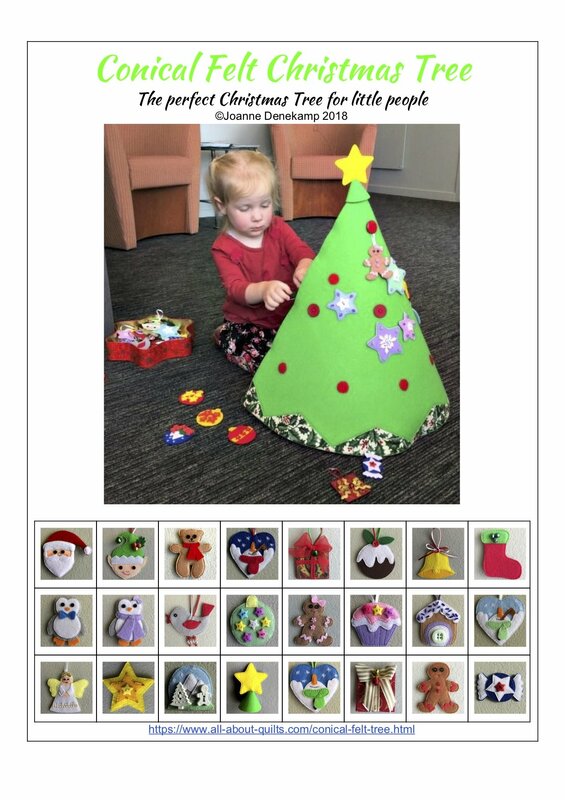 If you would like to see a video showing an example of machine raw edge appliqué visit my Appliqué Stitches Page.